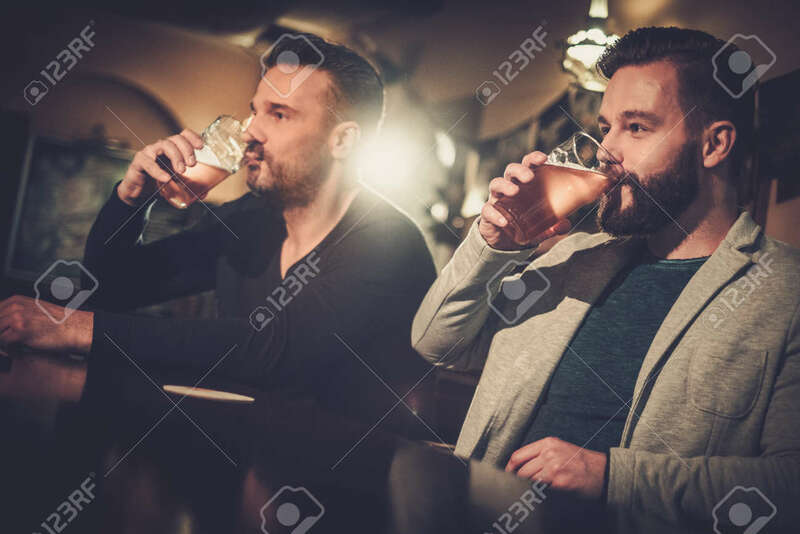 Cheerful Old Friends Drinking Draft Beer At Bar Counter In Pub. Stock Photo, Picture And Royalty Free Image. Image 53741608.